After an incredibly full week in Paris (visit Paris Week on my Instagram profile for a comprehensive breakdown of the last seven days), I am now home and excited to share a few key looks from my adventures in the city. 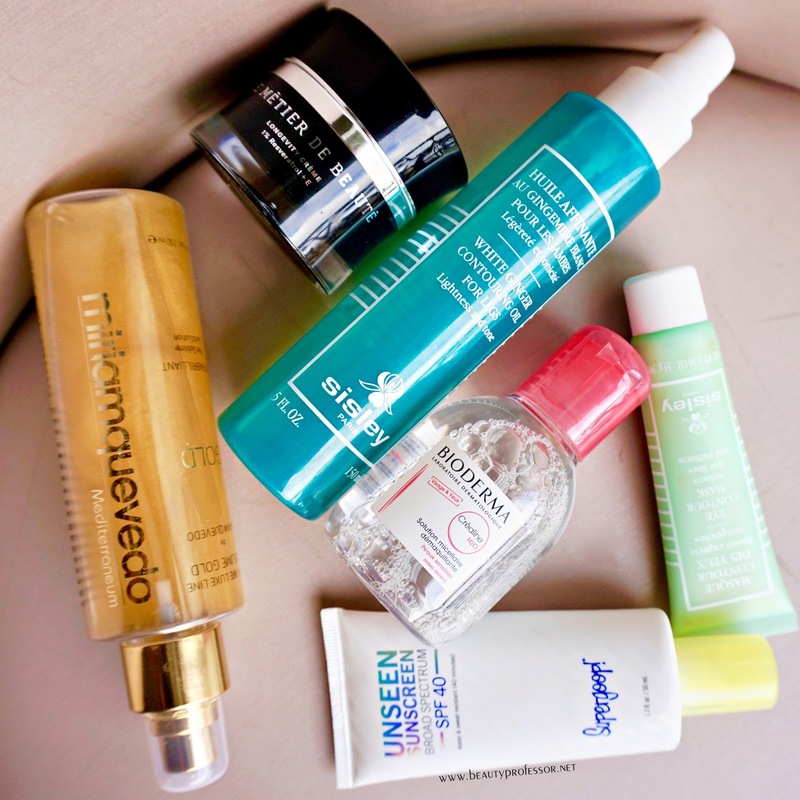 From walking nearly forty miles to some very exciting beauty meetings (more on these, soon! ), we definitely made the most of our time in the city of lights. 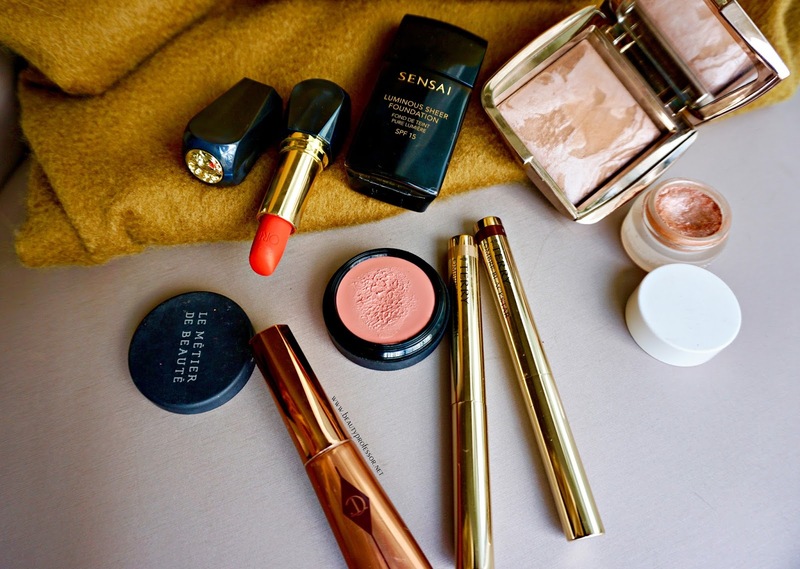 This first composition is punctuated a bold red lip and a new base from Sensai, along with favorites from By Terry, Charlotte Tilbury, Natasha Denona and Hourglass Cosmetics. *Bioderma Crealine H20 Sensitive (reviewed HERE): I kept my cleansing process super simple with this effective micellar water...it removes everything, including waterproof eye makeup. *Le Metier de Beaute Longevity Creme (reviewed HERE): I started with a generous application of this skin smoothing wonder cream, which always give my face a boost and a glow...used day and night, it truly transforms one's canvas. *Sisley-Paris Eye Contour Mask (reviewed HERE): I was sleep deprived for most of the trip and heavily relied on this lightweight yet super potent eye cream to brighten while depuffing my orbital region. 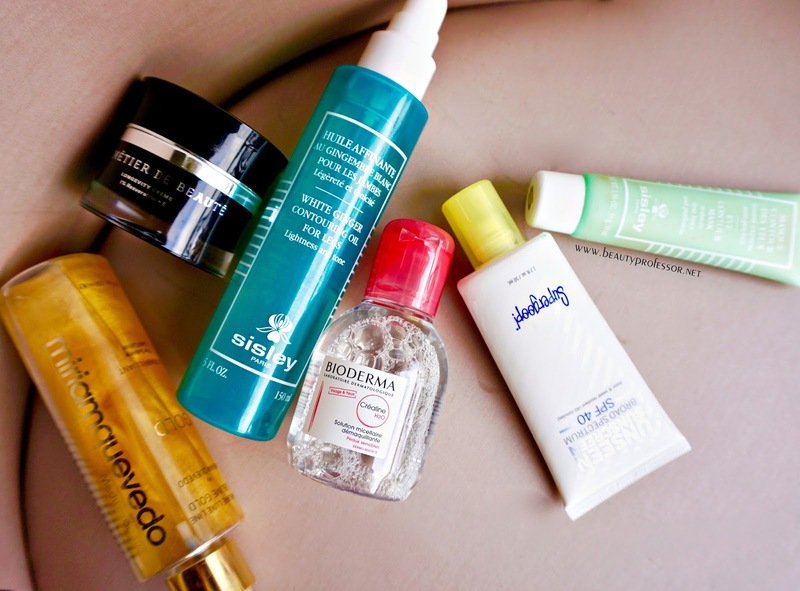 *Sisley-Paris White Ginger Contouring Oil for Legs (reviewed HERE): This oil is invaluable for fighting fatigue in one's limbs, reducing swelling (in my case, associated with travel) and masterfully hydrating one's skin. I used it on my arms, legs and décolleté daily and cannot get enough of it in the drier winter months. 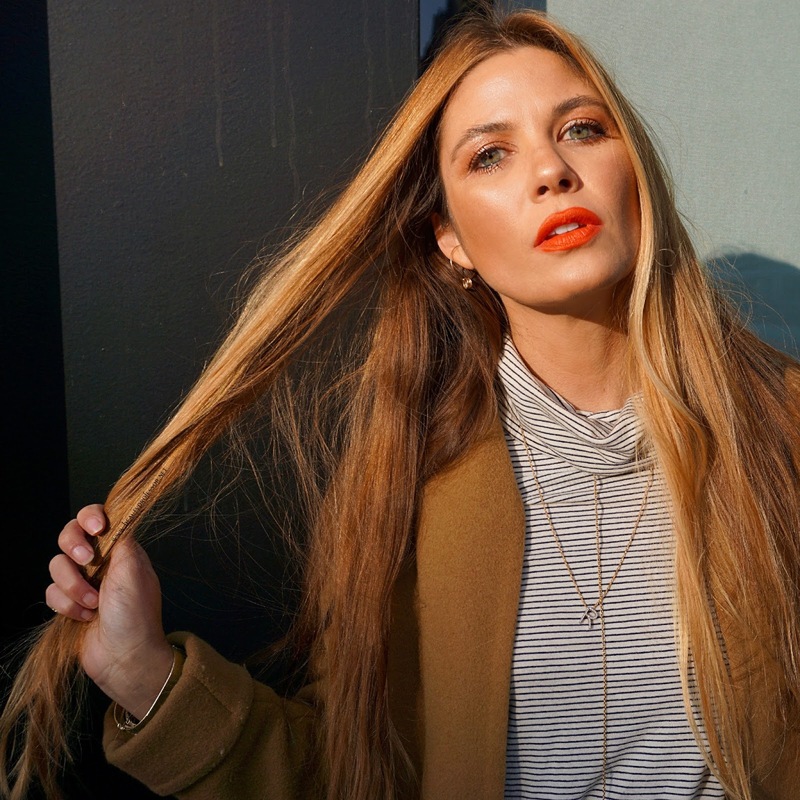 *Miriam Quevedo Sublime Gold Brilliant Spray (reviewed HERE): Just a few sprays following washing my hair detangles and conditions while adding a cloak of radiance and shine that doesn't weigh down my tresses...it's always within reach. Sensai Luminous Sheer Foundation in LS 204.5: I evened my visage with this brand new foundation formula; housed in a genius, small and rectangular bottle (that is infinitely purse-friendly), the fluid base possesses light coverage and, as its moniker implies, a luminous finish that simply looks like very healthy, light-kissed skin. I found that I could build this to nearly medium coverage without it caking (its texture-free nature makes it look almost invisible on the skin) and, so far, am impressed with its strong lasting power and incandescent performance. Keep reading for more details and swatches of all eight shades! *Hourglass Ambient Lighting Bronzer in Luminous Bronze Light (reviewed HERE): I swept this medium bronze hue along the hollows of my cheeks and perimeters of my face to softly contour and warm up my face. 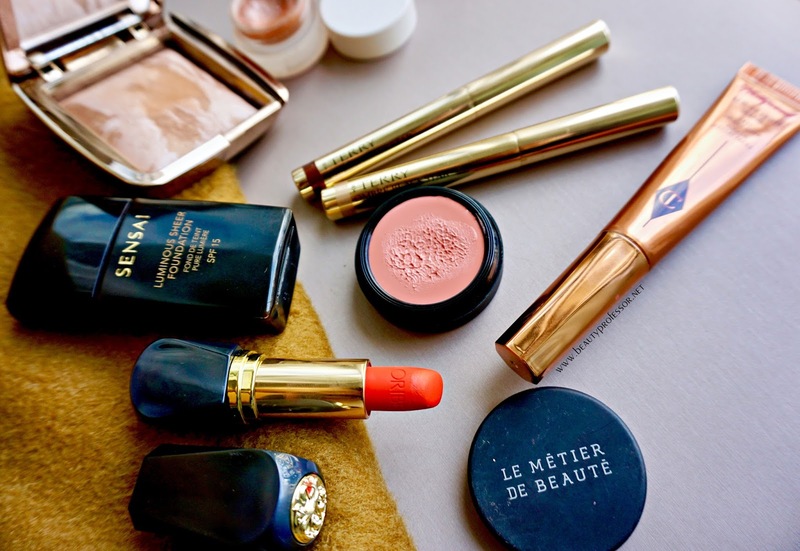 *Le Metier de Beaute Creme Fresh Tint in Poppy (reviewed HERE): I used the tip of my ring finger to blend this neutral pink on the apples of my cheeks for a cheerfully flushed radiance. 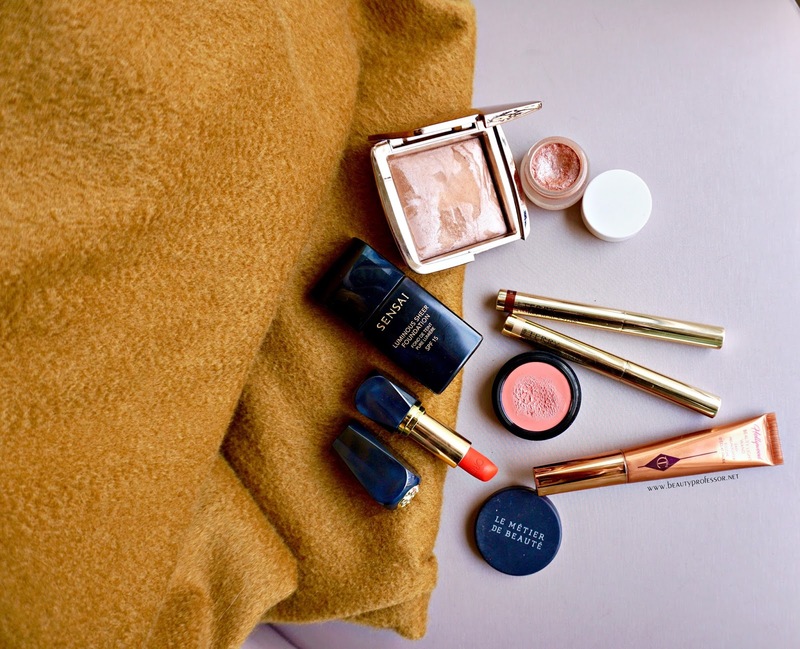 *Charlotte Tilbury Hollywood Glow Wand (reviewed HERE): I applied this creamy highlighter on my upper cheekbones, in the center of my forehead, down the bridge of my nose and in the middle of my chin for a lit-from-within look that lasts for hours. I have been using this resplendent illuminator nonstop as of late and highly recommend it for all skin types! *By Terry Ombre Blackstar in Bronze Moon and Blonde Opal (reviewed HERE): I blended the stunningly natural Bronze Moon on my upper eye lid and swept a bit more along my lower lash line. Then, I blended the gold-meets-platinum Blonde Opal up to my brow bone as a subtle transitional color. *Natasha Denona Chroma Crystal Top Coat in Peach (reviewed HERE): I swept a touch of this glimmering peach tone to enhance the reflective nature of the eye look...I use Peach 2-3 times a week and love the way it catches light. 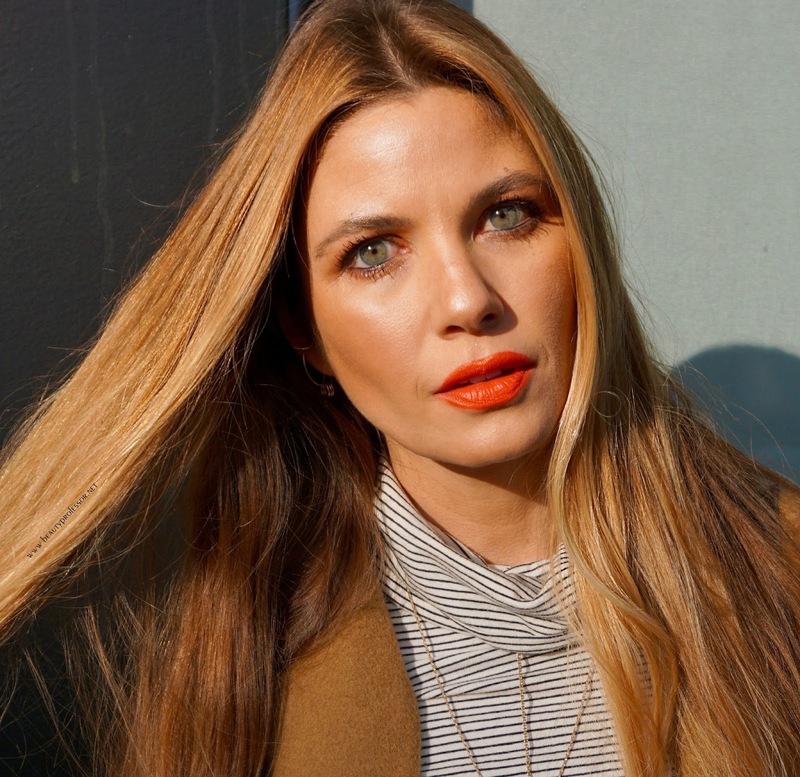 *Oribe Lip Lust Lip Color in Tropic Flame (reviewed HERE): I finished the look with a generous dose of this intense orange-meets-red lipstick that is always in my purse. With extreme color payoff and sublimely comfortable wear, this lipstick ranks amongst my top five...it must be tried to be believed! 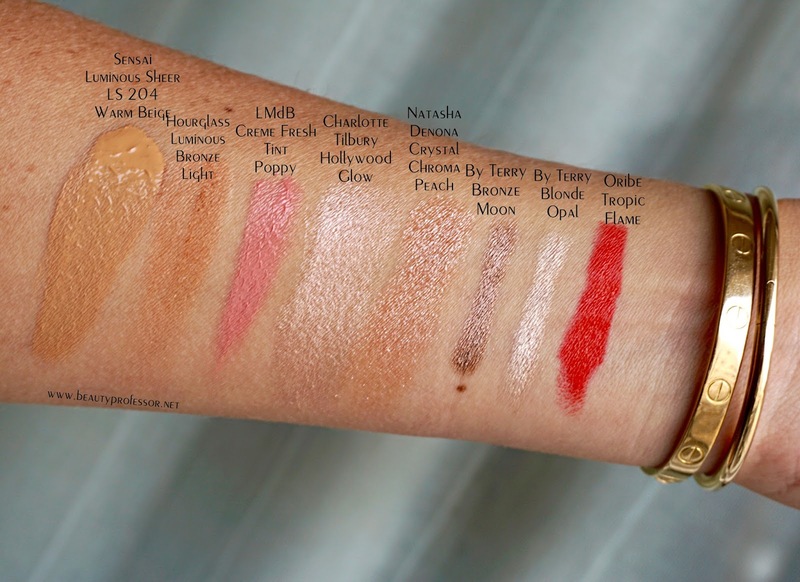 Swatches of all products on my face in window-lit lighting. New foundation release from Sensai. In anticipation of the fact that I would be wearing the Sensai Luminous Sheer Foundation in a blog post, I made sure to swatch all eight shades...in summation, there seems to be a befitting match for fair-medium dark skin and the weightless formula offers a beautiful light to light-medium veil of skin-perfecting coverage that imparts glow while looking entirely natural. I got 6-7 hours of flawless wear in Paris and can't wait to try it in Southern California weather next...will weigh in again soon! The ultra-light Luminous Sheer Foundation from Sensai glides over skin for a fresh, hydrated glow. Formulated with light-enhancing powers and Sensai's core ingredient Koishimaru Silk EX, it sheathes the skin in a veil of moisture to provide all-day hydration while imparting a naturally gentle glow to the surface for a radiant finish. Flawless coverage ensures that skin looks and feels itself, only perfected. 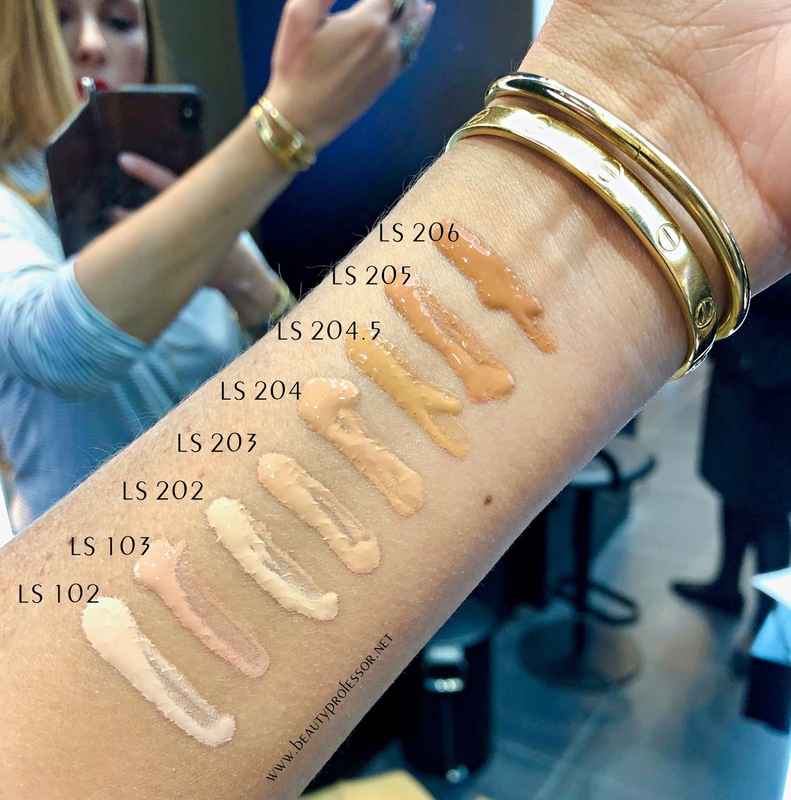 Swatches of the Sensai Luminous Sheer Foundation in indoor lighting. 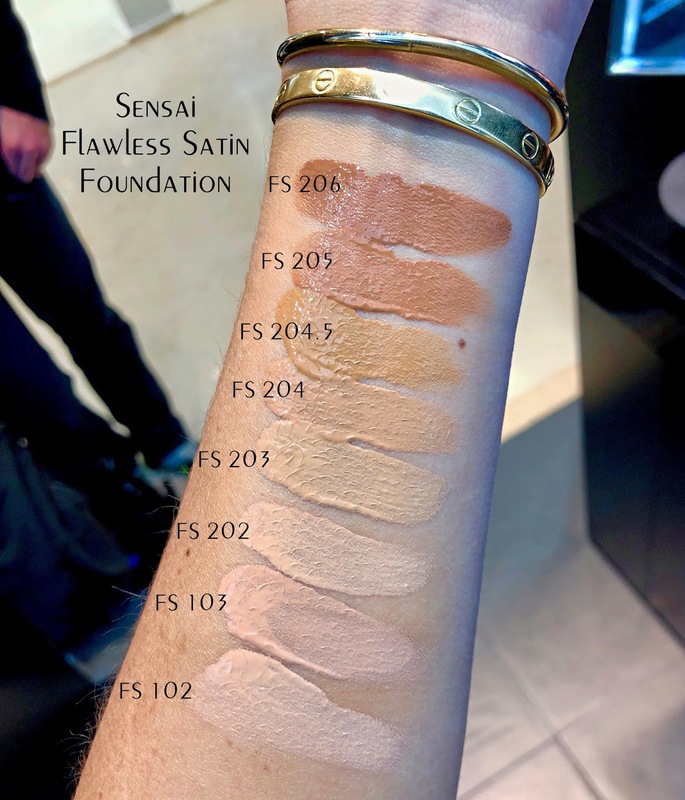 Swatches of the Sensai Flawless Satin Foundation in indoor lighting. 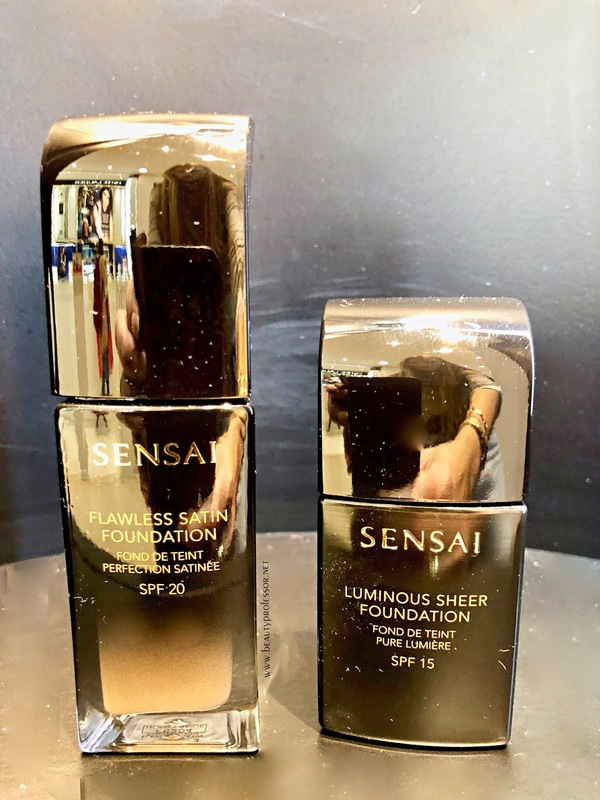 I also was able to swatch the Sensai Flawless Satin Foundation while in Paris. This new release features medium to full coverage and a satin finish that develops into a radiant glow. 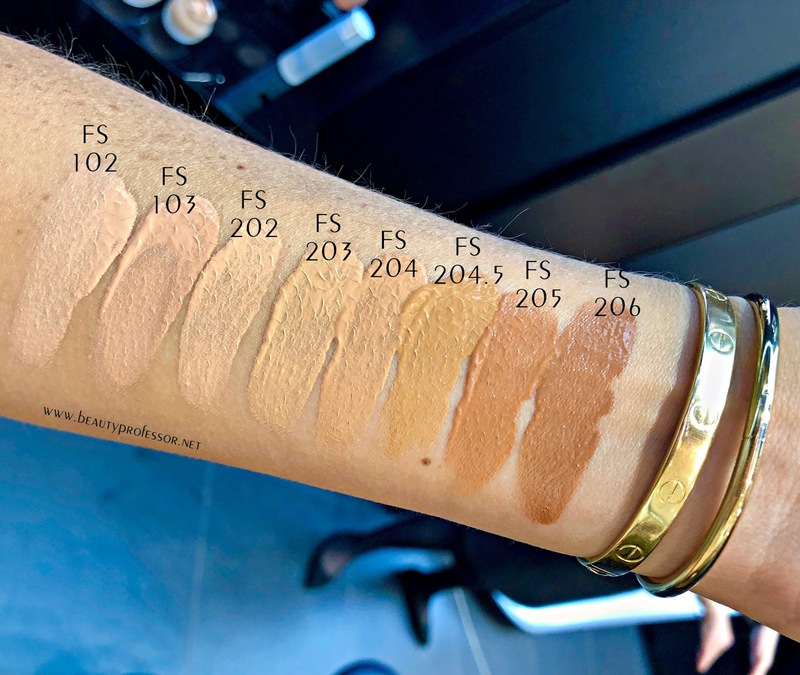 Although I was intrigued by additional coverage of this formula, I couldn't find a befitting shade match (FS 204 was too light and FS 204.5 was too dark) but hope you find the swatches--above and below--helpful nonetheless! The Flawless Satin Foundation from Sensai glides over skin for a fresh, hydrated glow. Formulated with light-enhancing powers and Sensai's core ingredient Koishimaru Silk EX, it sheathes the skin in a veil of moisture to provide all-day hydration while imparting a naturally gentle glow to the surface for a radiant finish. Flawless coverage ensures that skin looks and feels itself, only perfected. Thin striped turtleneck (additional options HERE and HERE): I love a lightweight turtle neck in cooler temperatures...it never goes out of style! Light wash boyfriend jeans: The pale tone of this particular pair can be dressed up or down and break up the sea of medium blue in my closet. Black Gucci belt: One of my most versatile outfit investments of the past year...it takes every combination to the next level. Tan booties: This particular pair is from last season and currently unavailable but I am linking to a similar, gorgeous pair from Kork-Ease that I have in three colors...I am thrilled that it is back in stock at Nordstrom right now! Vince Camel Coat (also available at Vince): I am getting so much wear from this roomy and minimalist camel coat...it is not too heavy yet extremely warm and matches nearly everything in my wardrobe. Oh, and it is on major sale right now...I'll be wearing it from winter through spring with ease. 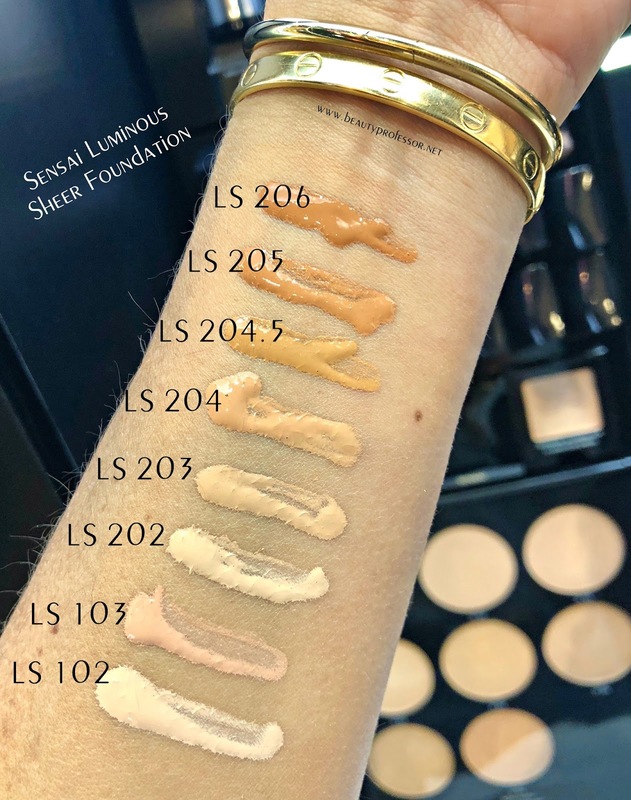 Bottom Line: I hope you enjoyed this on-location story and found the Sensai Foundation swatches to be helpful as you continue in the quest for the perfect base. Please let me know what caught YOUR eye...do tell! As is often the case following a long(ish) trip, I am devoting the first part of this week to on unpacking, laundry, opening press samples, shooting products and catching up on emails and comments; the second half of the week is rife with beauty-oriented events and I can't wait to share ; ) What are your plans for the middle of January? Good things ahead, including a new video tutorial and a host of new product procurements...have a fantastic Monday! Hi B.P!! Yay Rachel a new foundation from my old favorite Sensai!! And luminous as well. Obviously calling my name. Absolutely stunning in the red lip! Just wanted to say I ordered this from AllBeauty(first purchase) for the same reason. It took about 3 weeks, but it just arrived and seems fine. It was shipped from England. Loving this post! You always look so chic, never forced or wonky in pictures (like yours truly when I'm trying to show my makeup looks). The "wet" glittery lids with long hair and tan are my favorite. Beautiful you! Thank you for the immense compliments! I truly appreciate it and hope you're having a lovely week thus far. You look so Parisian Rachel!